The president of the Latte Training Academy, Juan Carlos Benitez helps individuals in the Commonwealth of the Northern Mariana Islands (CNMI) advance their careers through credentialed skill-based training. Having worked on behalf of Hispanic populations around the world as an attorney, Juan Carlos Benitez focuses the Academy’s programs and services on several in-demand business sectors within the CMNI. The organization maintains a certification rate of about 90 percent and has trained 750 students to date. Through multiple partnerships, the Latte Training Academy offers professional certifications in the fields of hotel and hospitality, healthcare, information technology, and business administration, as well as additional career-advancement opportunities. Its hotel-and-hospitality certification is recognized around the globe, and students who receive the certification will typically find opportunities in the CNMI’s robust tourism industry. Through the National Healthcareer Association (NHA) and the American Medical Certification Association (AMCA), students train to become nursing assistants and medical billing specialists by taking Allied Health courses. CompTIA, a leading IT credentialing body, assists students with a variety of careers in the IT industry, and students may also achieve accreditation in business administration through the Accounting Training Unlimited (ATU) and the National Bookkeepers Association (NBA). Beyond these specialties, interested parties may receive additional professional training at the Latte Training Academy through an affiliation with the University of Colorado, Colorado Springs. With a juris doctor from the Inter-American School of Law, Juan Carlos Benitez is an attorney and legal advisor whose past roles include acting as special counsel for immigration-related unfair employment practices at the US Department of Justice. In conjunction with his experience as an attorney, Juan Carlos Benitez is also a member of the Hispanic National Bar Association (HNBA). 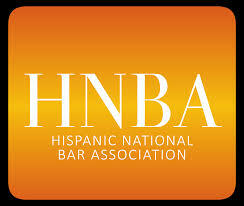 In September 2018, the Annual HNBA Convention took place in Philadelphia, Pennsylvania. Professionals from all across the legal sector, including judges, general counsel for private companies, and political figures attended the event, the 43rd of its kind. 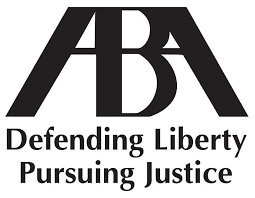 Having earned his law degree from the Inter-American School of Law, Juan Carlos Benitez belongs to the American Immigration Lawyers Association (AILA). Established in 1946, AILA represents the interests of more than 15,000 immigration attorneys and law professors throughout the United States. In June, the AILA held its annual meeting in San Francisco. The 2018 AILA Annual Conference on Immigration Law (AC18) presented immigration law professionals with ample opportunities for both networking and professional development. Learning sessions at the conference ranged from strategy sessions led by AILA National Officers to Managing Stress and Avoiding Substance Abuse, a special program designed to help attorneys cope with the pressures of their profession. Other notable sessions at AC18 included Hot Topics in Asylum Jurisprudence, Selling an Immigration Law Practice, and Risk Assessment and Client Management in a Changing System. A more thorough recap of AC18 can be found online at www.aila.org. Juan Carlos Benitez, a prominent labor attorney, is a long-time advocate of promoting the economic development of the Pacific region. In his role as chairman, Juan Carlos Benitez coordinates the workforce development programs operated by the Latte Training Academy. 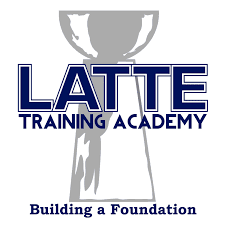 The Latte Training Academy, headquartered on the island of Saipan, provides residents of the Northern Mariana Islands with vocational and professional training through partnerships with recognized institutions, such as the University of Colorado-Colorado Springs' Campus Wide Extended Studies (CWES). CWES offers certification, professional development, and degree programs through distance learning and accelerated-format courses. The non-traditional program offers flexibility that caters to the needs of a diverse student population. Students can elect to earn credits online or attend in-person classes on a condensed schedule. CWES also offers a range of non-credit courses to support individuals in their life-long learning goals and professional development. All degrees and certificates are awarded by the University of Colorado. CWES is fully accredited by the North Central Association. A native of Puerto Rico, Juan Carlos Benitez holds a juris doctor from the Inter-American University of Puerto Rico School of Law and now serves as the president of the Washington Pacific Economic Development Group (WPEDG) in Hagatna, Guam. Alongside his work with WPEDG, Juan Carlos Benitez maintains membership in the American Bar Association (ABA). In late January 2018, the ABA debuted the book Demonstratives: Definitive Treatise on Visual Persuasion, which provides guidance to lawyers and other legal professionals who want to improve their skills in using visual aids in a courtroom environment. The book looks at situations that benefit from the inclusion of visual aids such as charts, graphs, and maps, and also documents instances of when visual aids only serve to add unnecessary complexity to the ideas presented. Topics covered in the book include defining what demonstratives actually are, how to design them, and how to use them most effectively during depositions and trials. The book also contains an “Inspiration Index” of 300-plus examples of visual concepts to help trial attorneys get a solid understanding of what has been proven to work. Attorney Juan Carlos Benitez serves as the chairman of Latte Training Academy, which provides vocational training to residents of the Northern Mariana Islands. The president of Washington Pacific Economic Development Group, LLC, Juan Carlos Benitez established the first Low-Income Housing Tax Credit (LIHTC) project in the Marianas. 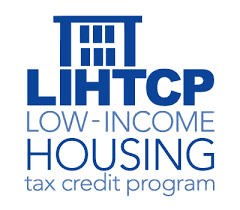 LIHTC is the US government’s primary federal subsidy to promote the development and rehabilitation of affordable homes for the low-income population. The program, established in 1986 by the Tax Reform Act, gives approximately 8 billion dollars to state and local agencies annually as tax credits for developing or rehabilitating affordable housing. LIHTC has benefited communities in the Mariana Islands and across the United States in many ways. The main benefit is affordable housing, as close to 50 percent of LIHTC households have incomes below the federal poverty level, according to research by the NYU Furman Center. Another benefit is revitalized neighborhoods. Research has shown that LIHTC developments reduce poverty and crime and improve access to better quality education. Juan Carlos Benitez is the chairman of the board of the Latte Training Academy, Inc., a workforce development company based in the Northern Mariana Islands. In his leadership role with the company, Juan Carlos Benitez provides skilled and certified vocational training for workers in a variety of industries. In 2017, the Latte Training Academy received a grant from the United States Department of Agriculture (USDA) Rural Business Enterprise Grant program. Together with the CNMI Small Business Development Center, Latte will connect entrepreneurs with the technical services and training necessary to succeed in their business ventures. Looking forward, the program hopes to support at least 10 new startup companies within its first year of operation. In addition to its work with entrepreneurs, the Latte Training Academy offers several different types of information technology (IT) certification. As a CompTIA Authorized Academy Partner, the academy provides certifications such as A+, Security+, and Network+. The Latte Training Academy also offers training in the allied health and hospitality sectors. Over the course of his career, Mr. Benitez has served in Federal and state government positions as well as in the private sector; first as an employee and later as an entrepreneur. His experience as a labor attorney at Fiddler Gonzales and Rodriguez laid the groundwork for Mr. Benitez's successful tenure working to resolve issues of immigration discrimination in the workplace as Special Counsel for Immigration Related Unfair Employment Practice in the Civil Rights Division at the US Department of Justice. Mr. Benitez has also developed an area of expertise in the US territories and their legal relationship with the US. Since 2003, he has served as founder and president of the Hagatna, Guam-based Washington Pacific Economic Development Group. Mr. Benitez believes in a collaborative approach to problem solving and could not find any firms that had a business model to work on policy issues the way a law firm does: hiring field experts on a case-by-base basis. Rather than contracting one firm to handle all issues with the same employees, WPEDG was founded with the idea of building a curated group of experts based on the criteria of each project. This model is geared toward returning results to the client most efficiently and scaled to their budget. Within the past four years, he has undertaken additional leading administrative positions with local firms in the areas of affordable housing development and has advocated from a pro-military / pro-island position for the deployment of Marines in the Marianas. He has also served in a volunteer capacity as board member of the Latte Training Academy, a certification program for high school students in the fields of tourism and nursing. Juan Carlos Benitez is a native or Puerto Rico and holds a bachelor of arts in judicial systems from the Universidad del Sagrado Corazon in Santurce and a Juris Doctor from the Inter-American University of Puerto Rico School of Law in Hato Rey. He is an active member of the Puerto Rico Bar and is licensed to practice before a number of US courts, including the Supreme Court of Puerto Rico and the Supreme Court of the United States. Juan Carlos Benitez is fluent in both English and Spanish. including the Puerto Rico Federal Affairs Administration and the US Department of Justice.